It is no secret that the world is full of noise making it difficult to find a quiet place to enjoy your favorite music. If you want to block sound that is coming from the noisy environment, all you need is a pair of Noise Cancelling Headphones. There are two types of noise cancelling headphones that are available on the market. This type of headphone is pressed against your head and covers your ears completely, which blocks out most of the outside noise. This enables you to only hear the music in your headphones and none of the annoying noises that disrupt your music listening enjoyment. There’s nothing advanced about this technology as basically it’s just a few more layers of foam and pressure to stop sound getting in. This is the more high-tech option when it comes to noise cancelling headphones. Active noise cancellation, has extra padding (passively cancelling out sound) and some amazing and innovative advancements that cancel out sound. There’s microphones built into the ear wells of headphones which are constantly monitoring and analysing the ambient noise level outside of the headphones. It then generates sound waves that are the exact negative of the outside noise and reflect it back into your ears. This cleverly cancels out the offending noise, so all you hear is the music. The following headphones have been designed to cancel any sound that may be interfering with your favorite music. There are noise isolating headphones on the market that use materials to cover noise but the difference with noise cancellation headphones are that they are powered by a battery that blocks noise from reaching your ear canal. Below are top 10 best noise cancelling headphones on the market. 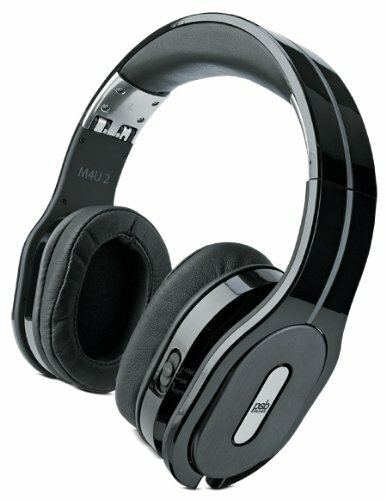 PSB M4U 2 is a noise cancelling headphone that features an adjustable headband and around-the-ear design with padded ear cups. 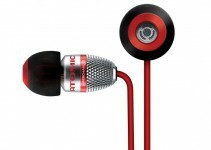 The headphone also features a built-in headphone amplifier that provides a more powerful and precise audio quality. This headphone is capable of folding up for easier portability and storage. It utilizes an active noise-canceling technology that is capable of reducing sound that is distracting your music. Its Tri-mode operation also allows you to listen to your favorite music without batteries. It has an In-line push-to-hear monitor control which turns off the noise-cancelling feature and the audio source without removing the headphones. The QuietComfort 25 is a high-technology noise-cancelling headphone that can help you reduce noise that is interfering with your music while driving. This gadget produces a deep and powerful sound when listening to the songs you love. It is lightweight, portable and comfortable to wear all day. Using Bose QuietComfort 25, you can control your calls and music on all Apple devices using a remote. It has a distinctive design and comes in two color options which are Black or White. 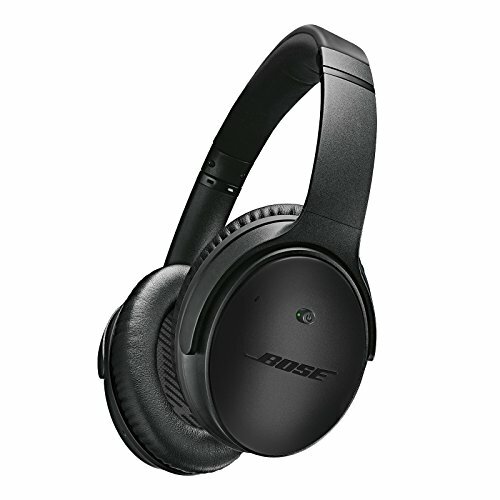 The Bose QuietComfort 20 is also one of the headphones that offer the advanced noise-cancelling for frequent travelers. If you are worried about the endless noise that is coming from people or components around you, Bose QuietComfort 20 is one of the headphones to consider. It is designed exclusively using Bose technologies for the best audio performance. 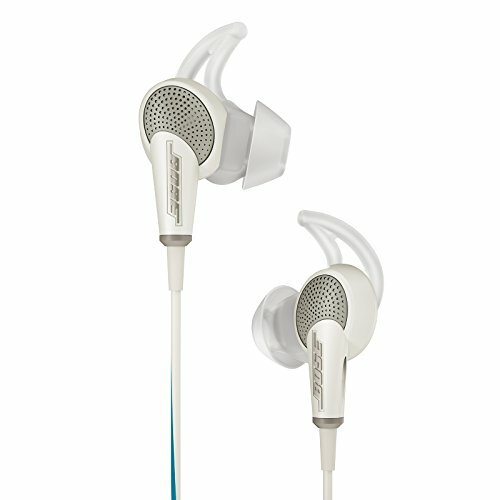 The headphone is more compact compared to full-size NC headphones such as the QuietComfort 15 model. It also offers long-lasting comfort and stability. You can use it on your Android, Windows Black or Berry phones. Definitive Technology Symphony is a high-quality noise-cancelling headphones that ensure the best audio possible. 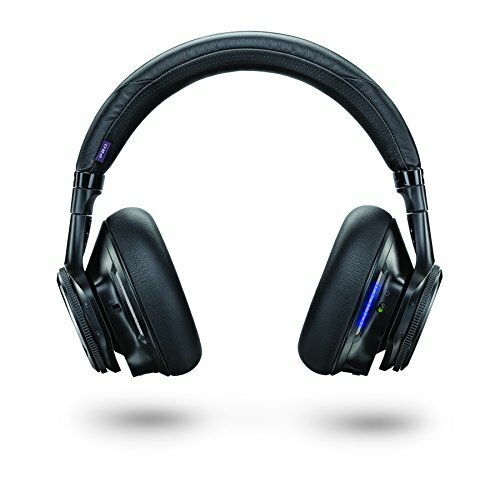 It features a digital-analogue converter, Tactile On-Ear Controls and Bluetooth wireless technology. 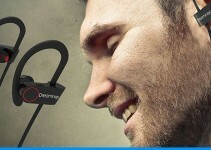 With this features, the headphones deliver high-quality music from your mobile devices or computer. One advantage of using Definitive Technology Symphony is its rechargeable Lithium-ion battery that enables you to listen to your music for more than 10 hours with normal ANC usage. 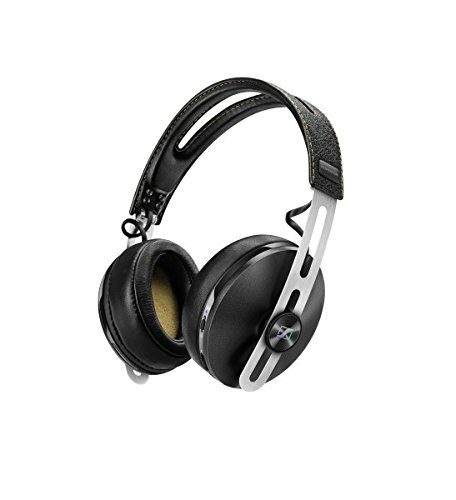 It is a durable headphone that is built from premium materials. The BackBeat Pro is the latest technology headphone that features active noise cancellation, features Advanced Bluetooth and 24-hour battery life. Using this headphone, you can block out all background noise while driving, working or relaxing. The device is designed with Multiple Device Sync Technology enabling you to quickly answer your calls and listen to a movie on your mobile device. Its long lasting battery offers up to 24 hours of listening with 330 feet of Bluetooth range. The headphones are compatible with all mobile devices including iPhone, Android and iPad devices. When you purchase Sennheiser Momentum Wireless, you are getting the best noise-cancelling headphones with premium build quality. These headphones feature a closed back, over-ear design and Bluetooth technology. You can pair it with your mobile devices using NFC connectivity for wireless freedom. The gadget is capable of blocking active noise using four microphones. 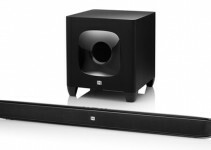 It dramatically improves the sound quality coming from your environment. With its 22-hour battery life, you can listen to your favorite music with Noise Gard and Bluetooth activated. When you purchase it from authorized Sennheiser dealer such as Amazon, you get a two-year warranty. 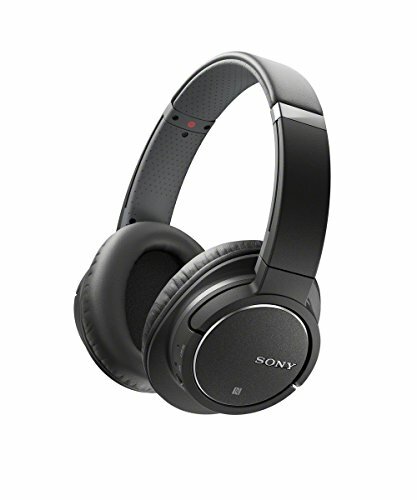 Sony’s MDR-ZX770BN isn’t as good as Beats Studio wireless but is one of the best noise cancelling Bluetooth headphones on Amazon. These headphones feature a convenient 4-way usage noise cancelling action, Bluetooth audio streaming with AAC and aptX support. It also features a convenient one-touch pairing with NFC. It has a built-in microphone for hands-free phone calling, Passive mode that supports operation without battery usage and a rechargeable battery for up to 13hrs of music. Other useful features include Beat Response Control for quick bass/transient response, USB charging cable, around the ear design and audio cable. Parrot Zik 2.0 is a noise cancelling headphone with impressive design and solid sound. These Zik 2.0 wireless headphones look awesome for those people who don’t care spending on a pricey gadget. You can listen to your music in Bluetooth Mode for up to 6 hours. It features Bluetooth audio streaming, Smart touch panel and adaptive noise cancelling with 32 Bits processing. 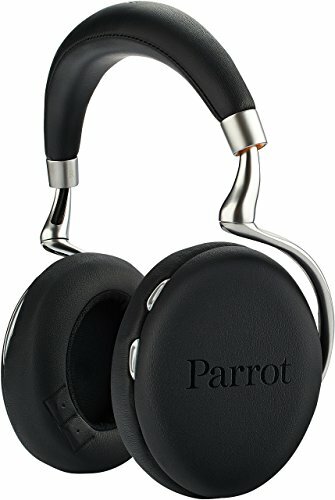 When you purchase these headphones, you get a Parrot Zik 2.1 free App that allows you to enjoy Parrot Concert Hall effect and share your favorite music with other Zik users. 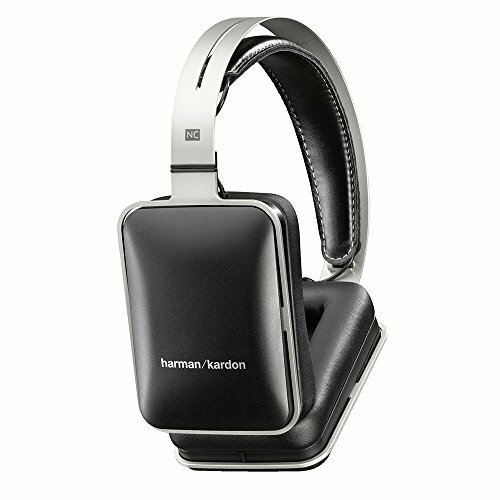 Harman Kardon NC headphones produce better sound when listing to music on your mobile devices. These headphones have a built-in rechargeable battery that powers the device’s active noise-cancellation circuitry. This gadget is fitted with an active digital noise-cancellation technology that analyzes and optimizes your audio signals before they reach your ears. It has optimized driver system that ensures the sounds from your devices are of maximum clarity and accuracy. It supports a USB recharging that eliminates the need for an extra charger. 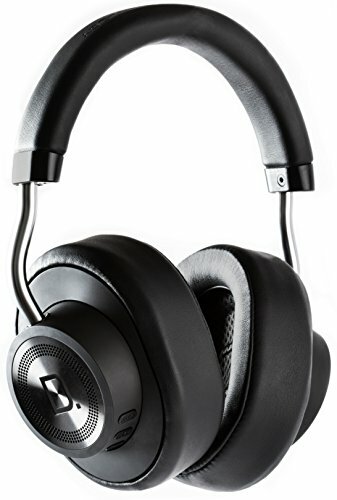 Monoprice Hi-Fi Active Noise Cancelling Headphone comes with 55-inch audio cable, control module a 58-inch standard audio cable with an inline microphone. These headphones utilize an active noise-canceling technology that is capable of reducing sound that is distracting your music. The come packaged in a luxury zippered nylon storage case with includes a nylon mesh internal pocket. These sections carry the audio cables and other accessories. They are fitted with a long lasting battery that offers up to 12 hours of listening to music. Using Monoprice Hi-Fi Active, you can listen to high-quality music on all phone devices. 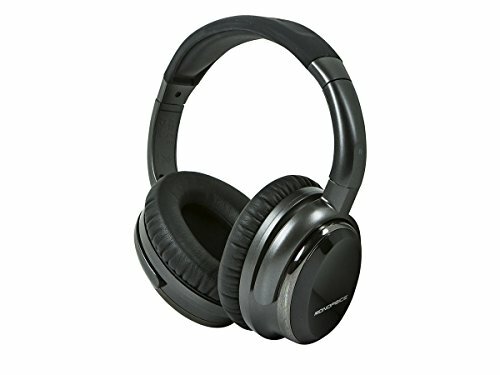 Some potential cons about Noise Cancelling Headphones. They cost a lot more than your normal headphones. All that added technology and sound quality comes at a price unfortunately. Active noise cancelling headphones are badass performance wise which mean that it requires more power. This power supply is normally in the form of a USB port or a battery that you recharged. Unfortunately a lot of models will not work without power, and will not even function as a normal headphone without the noise cancelling feature. You really do know that you’re wearing them. Because of the battery and added electrical components, it certainly does increase the weight of the product. Not ideal for working out or on the move.